Note: the current version of this lens is the f/4E FL. Pretty much everything I write here applies to it, as well, though the FL is nearly two pounds (800g) lighter and it focuses 0.4m closer. Yes, my 400mm and 500mm reviews are somewhat similar. They speak to products that are designed and are made similarly, but have some slight differences in specification (100mm and one stop). Most people choose one of five lenses in the Nikkor lineup as their high-end telephoto. In order of most popular to least, that would be: 200-400mm f/4, 300mm f/2.8, 500mm f/4, 400mm f/2.8, 600mm f/4. That all these lenses share some performance similarities is not a coincidence. The Nikkor 500mm f/4G is a modestly big lens. While slightly longer than the 400mm f/2.8, the reduction in front element size to about 5.5" also produces a more slender look and the reduction in glass contributes to about a pound-and-a-half of weight reduction (8.5 pounds, or 3880g). Still, it's a heavy lens. The 7" long carbon fiber lens hood just adds to the visual impression of a very long lens, especially given the fairly slender lens barrel of the lens itself. The optical formula is 14 elements in 11 lens groups. Three of them are ED (Extra-low Dispersion) elements that help keep chromatic aberrations at bay. There's Nano coating to enhance contrast, and the front element is actually a meniscus glass element that's actually a protective piece, not really part of the optical formula. It's curved to prevent bounce-back flare from occurring within the lens. The lens is SIC (super integrated coating) as well, and features internal focus (why Nikon dropped the IF in their names, I don't know [maybe it was me and others poking fun of the acronym pile up]; in the olden days this would have been referred to as ED IF VR). The MTF chart for this lens is different than the 400mm f/2.8: yes, the 10mm lines are pretty much stuck at 1 (as good as you can get), but the meridional 30 line per millimeter line slips significantly once you get past the DX frame size, to eventually hit .8. Still, quite a good performance, but it means the corners aren't quite up to 400mm's performance on an FX body. The lens covers both DX and FX formats, presenting a 3°10' degree angle of view (diagonally) on DX, 5° on FX. Close focus is 12.6 feet (4m), presenting a maximum magnification of 1:7.1. VR II features better detection of tripod/steady support; Nikon claims four stops improvement over hand holding. A rotating tripod collar with short, removable handle is included, as well as a 52mm drop-in filter cover. As with all Nikon drop-in filters, the supplied plain filter is part of the optical formula; using a filter holder without glass is a slight no-no. The lens has a focus scale with FX DOF markings for f/22 (in other words, nothing you'll ever use). There's dust/moisture protection built in. The lens came in the traditional hard shell exotic Nikkor case with carbon fiber hood for US$8579. The lens is made in Japan. Eight-and-a-half pounds is still serious lugging weight, so consider that a warning: While not as heavy as the 400mm f/2.8 or the 600mm f/4, the 500mm f/4 is still a very big mass to deal with. You need very substantial support to get everything that's possible from this lens. On the plus side, if you've been working those pecs you just might be able to hand hold the 500mm f/4 for short periods of time. The slightly thinner profile helps, but you'll still have the weight of a small child pushing down on your arms. I can do it successfully for short periods of time, but I much prefer using this lens on a gimbal head on substantial tripod legs. Sports shooters should be using a monopod. Again, Nikon's rotating tripod mount leaves a bit to be desired. While my 500's mount is better than my 400's, it still needs to be relentlessly locked down to keep from adding jitter to the mount that'll impede your acuity. I personally use an RRS handle/plate, but even Nikon's supplied handle makes it difficult to grab with gloves due to the short distance between lens and handle on this lens. Nikon's handle at least has a rounded grip so it doesn't cut into your hand while carrying the beast, but it's more awkward for that than it has to be. From the start, the focus ring on my 500mm has been rough and noisy. You get the strong sense of metal on metal contact happening, and autofocusing with my lens will wake up sleeping creatures. It probably needs to go into Nikon to be looked at, but it isn't confidence building to have a US$8579 product ship with such an obvious quality issue. The focus ring is wide and easy to find, and there are focus buttons (lock/recall/AF-On) circling the lens at the front of the ring. I find that position a little awkward due to my hand position (holding down the lens due to the tripod collar slop, and on this lens the tripod collar is substantially away from the focus ring). Personally, I dislike the rotating VR on/off switch. While easy enough to find at the back of the lens, for some reason this design has me missing the VR setting I really want to use more often than the plain old switch does. Part of that may be orientation. If you orient so the focus scale is up, the VR switch is off to the right just enough that you don't see it looking down at the lens. Of course, if you're shooting at eye-level, you wouldn't look down at the focus scale without getting on your tip-toes, but the VR switch is not exactly on the side, either. It's just a position that doesn't fall naturally into my view, so I sometimes don't notice what I'm shooting at; I have to make a conscious effort to remember to check VR status. Hello, Nikon? Why isn't VR status reported on the camera somewhere? We've got five switches on the opposite side of the lens (one controlling type of VR). The new version of this lens now has A/M and M/A (which allow you to pick how manual override happens versus autofocus), which is a nice nuance. The most useful of the five switches is the focus limiter, which allows you to restrict the lens to 6m to infinity. 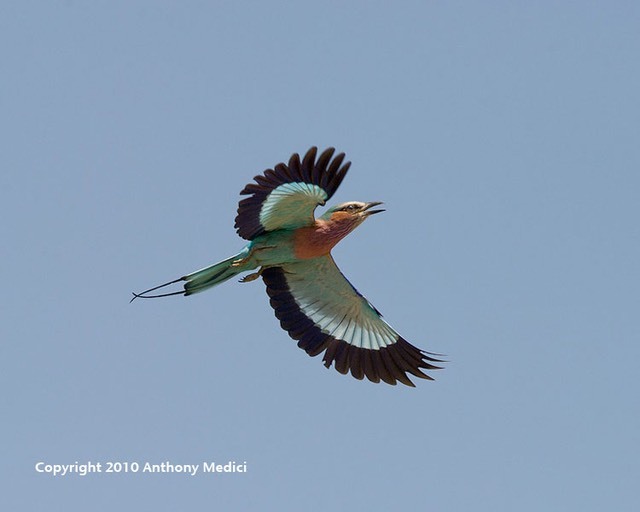 For longer distance shooting, such as birds in flight, this can make the difference between lots of in-focus images and lots of out-of-focus images. I'd quibble about the 8m fixed limit. I'd really like to be able to set the point anywhere between 6m and 12m. The final two buttons are mostly to do with the focus buttons at the front of the lens. You can set and recall a fixed focus distance (an undervalued feature but one that's currently tough to remember how to use most effectively in the field). Or you can have the button provide AF-On or AF Lock. You can also have the lens beep confirmations to you. Put another way, the 500mm lens has a number of subtle customizations you can make to how it operates, and those changes can impact the speed of operation and/or image quality in subtle ways, too. Take the time to study the top four buttons carefully and figure out how they interact with your shooting. The lens hood for the 500mm is a very light weight piece of carbon fiber. But it's long (7"), so it sort of looks like you're carrying a piece of an oil pipeline with you. Fortunately, it reverse mounts on the lens, which is nice. As usual, Nikon provides their hangman's hood instead of a proper lens cap. In this case it's substantially long (apparently they wanted the hood to extend past the long lens hood), making it even more awkward than usual. My preferred lens cap is the Aqua-tech ASCN-5 SoftCap because it not only provides a slight cushion when setting the lens front down, but it pulls off with a convenient embedded hand grip very easily. The other optional lens caps out there all tend work better than what Nikon supplies. Rounding out the features of the lens is one shoulder strap hook for those of you who want to sling the lens old style (new style would be using a Black Rapid strap hooked to an Arca Swiss foot). The 500mm is probably the biggest of what I regard as the manageable lenses (200mm f/2, 300mm f/2.8, 200-400mm f/4, 500mm f/4; the 400mm f/2.8 and 600mm f/4 are above the bar and decidedly more difficult to travel with, carry, or shoot hand held with). Just as you'd expect, the 500mm is a top performer. The central area is as good as any of the exotics. On a D3x the corners show a clear decline. Obviously, the same is true on a D850, though the central area is still beyond what the camera can resolve, like the other exotics. On DX bodies, the lens is excellent edge to edge. There's a tad more vignetting on the 500mm f/4 than on the 400mm f/2.8 wide open, but not enough to pay attention to. Chromatic aberration is present in very slight amounts, but highly manageable (the 400mm is better in this respect). Focus is fast and reliable on the high-end bodies (but very noisy on my sample ;~), and if you're thinking about using this lens on a low-end body, get real. It'll work, but what are you thinking? With birds in flight and sports, it's not the lens' focusing attributes that'll hold you back, it's how you set and use the camera's focus system (and to a lesser degree, the settings on the lens, too). If the 500mm has any real weaknesses, it would be again at infinity focus and converters. The infinity focus problem seems typical of the whole Nikon exotic line. While the 500mm remains pretty good at infinity, it's just not as snappy as it is at 100 yards or 200 yards or wherever else you've focused that's not infinity. This isn't the same as the problem I note on the 200-400mm: the 500mm f/4G doesn't get weak on anything past 100 meters as the 200-400mm does. But it is slightly weaker at infinity than it is at 200 meters. Typically, though, you're not shooting at infinity (heat waves make that impossible much of the time, anyway). The big issue for me is teleconverters. I definitely feel you have to stop down one stop with the TC-14E (that would put you at ~700mm f/8). The TC-17E is marginal at best with the 500mm. Sometimes it will focus, sometimes it won't, but it'll always focus slower, and the optical results aren't quite as clean as I'd like. The TC-20E III is only usable in manual focus, and again, you need to be stopping down (so you're at f/11 best case, which gets you into the diffraction zone on a D3x or D7000). I would strongly recommend that you run AF Fine Tune with some sort of known tool, such as Lens Align, if you're serious about getting everything this lens can deliver. Given that it's a fixed focal length lens, alignment is easy enough to do. I personally tend to perform an AF Fine Tune check prior to every trip on which I use this lens (I have that awkward problem of not usually using the same body twice, but even the same body can drift in alignment with constant travel). Here's the question that I usually get: which should I get, the 400mm, 500mm, or 600mm? From an acuity standpoint, the 400mm is the best of that bunch, and clearly so [still true with the FL versions]. The 400mm with the TC-14E is pretty darned close to the 600mm f/4 (disclaimer: I've only used Nikon NPS 600mm loaners; make of that what you will, but those lenses get used and abused by a lot of photographers, so I'm not sure I've seen the best the 600mm can produce). I tend to rule out the 600mm for all but the absolutely focal length obsessed (you know who you are, and you like little birdies ;~). The 500mm lens isn't far behind the 400mm, though. Indeed, you'd have to be handling both lenses near perfectly to see any difference. My teaching assistant and I argued about which lens for some time. He chose the 500mm for reach, I originally chose the 400mm for acuity. I'm still pretty sure that the 400mm is the right choice for me. But I pay the size/weight penalty for that decision. It's not a lens that's easy to travel with. If you're hopping on planes all the time to exotic locations, the 200-400mm and even the 500mm are much more manageable lenses. On the other hand, I'll slap a TC-14E or TC-17E on my 400mm and shoot without much concern where I won't even put a TC-14E on the 500mm without starting to worry about acuity loss. So the question is trickier than it at first seems. One final note: this review is of the latest and greatest version of the 500mm f/4. I've been able to use all the predecessors (mostly through borrowing them, though I owned the 500mm f/4P), all the way back to the old AI-P version. The differences in the autofocus models are subtle. The current version has a slightly more sophisticated VR system and Nano coating, and those can make a very small difference in some situations. But if you're looking for a bargain, any of the older AF-I or AF-S versions in excellent shape used may save you some money. If you're truly a bargain hunter, I still believe that the 500mm f/4P (manual focus only) is the best long lens bargain out there. A 500mm f/4P in excellent condition will set you back US$2500. Are you really willing to pay ~US$6000 for autofocus and VR? After much deliberation, I decided to sell my 500mm. While I don't like traveling with the 400mm, it's just that eensy (and I mean eensy) bit sharper and more flexible with teleconverters. So I'm lugging a couple of extra pounds, but in the grand scheme of things, that's a small penalty as I'm carrying a lot of support weight no matter which lens I choose. However, don't take my selling the 500mm as a condemnation of the lens. I can't afford to own both, but the only real way to figure out which one was better for me was via a year of use side by side. In the end, that f/2.8 and lovely edges on the D3x won me over to the 400mm. That said, my assistant churns out great shots out of his 500mm f/4 and his D3x, so this one is very close to call. US$8500+ for a lens was a lot of moolah. A three week rental on this lens is about US$950 (plus shipping). A one-week rental is less than half that. So, the question you have to ask yourself is how much you actually shoot with it. If you make one long trip a year to a workshop or favorite location where this lens is going to get used, you're better off renting. Just give yourself enough lead time to test a rental lens before the trip (and maybe do an AF Fine Tune). I'd also suggest you rent the lens prior to purchasing it and really try it in practice. This is a lot of lens to handle, and frankly, not everyone is up to it. There's another "secret" way to get experience with such exotic lenses before purchasing them: attend a workshop where Nikon NPS brings loaners. For example, Rich Clarkson's Sports Photography Workshop each summer in Colorado Springs, which is one of two sports workshops that I highly recommend (the other is Peter Read Miller's, but he has Canon loaner equipment at his ;~). You can find such things (sort of) using the Event Support tab on the global NPS site.